The Isanti-Chisago County Star serves Isanti and Chisago County, MN. The newspaper is delivered weekly on Thursday and includes news and events. Verified would like to congratulate the winners of the 2012 Circle of Excellence award. The Circle is awarded to only those publications that have, upon rigorous independent review, been able to certify, document and demonstrate that they consistently meet the highest standards of audit excellence. Congratulations to winners and keep up the good work! The U.S. Postal Service plans to stop delivering mail other than packages on Saturdays, beginning in August 2013. It says the move will save roughly $2 billion a year. The decision follows repeated warnings that financial woes might force the organization to begin cutting back services. The USPS had previously asked for permission to cut Saturday delivery from Congress via the Postal Regulatory Commission, which oversees the public corporation. Permission was never granted. In the face of growing competition from email, online banking and package delivery services, the total number of pieces of mail delivered plunged from a peak of 213 billion in 2006 to 160 billion in 2012, a 25% decline. Total revenues fell from $75 billion in 2008 to $65 billion in 2012. The USPS recorded losses of $8.5 billion in 2010, $5.1 billion in 2011, and $15.6 billion in 2012. The National Newspaper Association, which represents community papers, has fought proposed cuts to Saturday delivery before, reports Poynter, since some members time editions to arrive on that day. About 30% of NNA's member papers mail a Saturday paper, NAA postal chair Max Heath told Poynter. The loss of Saturday delivery also impacts weekly magazines. "The choice is either changes to some of the services or raise prices, and people don't want prices raised," said Postmaster General Patrick Donahoe. "[The change] responds to the financial realities resulting from America's changing mailing habits." The USPS announcement met with criticism from the MPA – The Association of Magazine Media. The MPA stated, in part: "Like Congress, MPA was taken by surprise. While we have actively participated in conversations around postal reform, and in particular, five-day delivery, we did not expect the USPS would act unilaterally, without Congressional approval, and we await Washington's reaction and more details." Previously, the MPA said it may be willing to support five-day delivery as long as the "resultant cost savings...were part of a comprehensive package of long-term reforms that would ensure a viable postal system for the foreseeable future." The beleaguered organization has been swinging the axe to reduce costs at a furious pace. The number of full-time employees tumbled from 752,949 in 2002 to 551,570 in 2011, for a nearly 27% drop in a decade. The number of delivery routes has fallen from 246,500 in 2007 to 228,160 in 2011. However, according to the USPS, a large part of its financial woes are due to an onerous law passed by Congress in 2006, which forces the organization to fund its future retiree health benefits at $5.5 billion per year. The USPS defaulted on two payments in 2012. Some 54% of companies participating in the Marketing Budgets Report expect to increase overall marketing investment this year, up from 45% in 2012. But determining ROI from combined online and offline channels remains complicated. While 71% report increases for their digital budgets this year, up from 68%, about 20% plan to increase traditional offline budgets – up from 16% last year, according to the fourth annual report from Econsultancy, sponsored by Responsys. 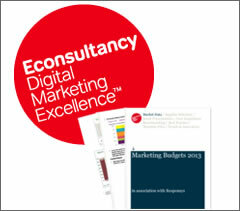 The analysis of 2013 budgets across a range of marketing disciplines and channels compares online with offline budgets of more than 800 companies and agencies. Marketers continue to struggle to understand the value of media across digital and offline channels, such as television and mobile. Only 50% of companies surveyed claim to have a good or very good understanding of ROI from digital marketing channels, down from 55% last year. For comparison, the proportion of companies rating their understanding of ROI from traditional marketing as "good" or "very good" remains around 50%. Agencies have become even more skeptical about their clients understanding ROI from digital marketing channels, with 36% of supply-side respondents saying this is "poor" or "very poor." The proportion of agencies reporting that their clients' understanding is "okay" or "good" declined 8% in the last 12 months. There are specific digital channels that are more measurable than others. For example, 57% of marketers are most likely to rate paid search as "good" for measuring ROI, while social media and video advertising – at 17% each – are the least likely. Multichannel marketing and integration remains important, although the percentage of those investing fell slightly. 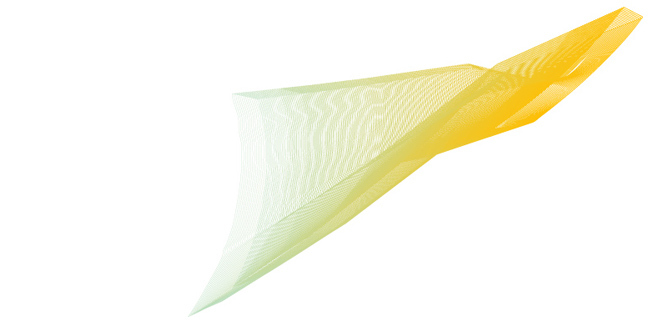 Some 71% of companies plan to boost spending on digital marketing technology during 2013, down from 74% in 2012. About 46% said they would invest in analytics; 45%, CRM; and 41%, content management systems (CMS). Some 38% said they would invest in email platforms; 35%, paid search and bid management; and 34%, conversion and optimization tools. When it comes to content marketing, 80% will increase the amount spent during the next 12 months, compared with 72% of agencies that indicate clients plan to increase content marketing budgets. 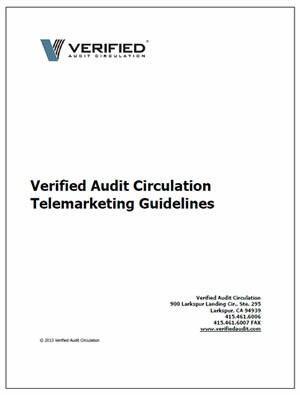 Verified Audit Circulation is releasing an updated version of its Telemarketing Guidelines. 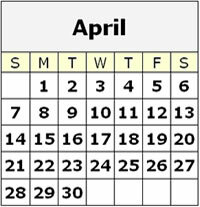 The updated guide will be available on Verified's website starting March 1, 2013. To access the updated guide, go to www.verifiedaudit.com, click "Members" and then "Procedures & Regulations." The telemarketing guide is password protected. If you have questions regarding the updated guidelines, please contact Verified at 415-461-6006.